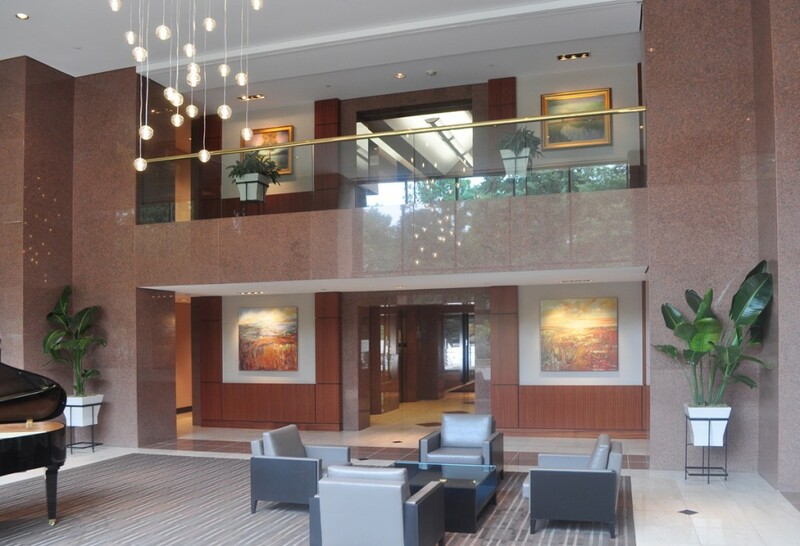 Capital Associates came to HagerSmith with a dilemma with one of their aging Class A office buildings. 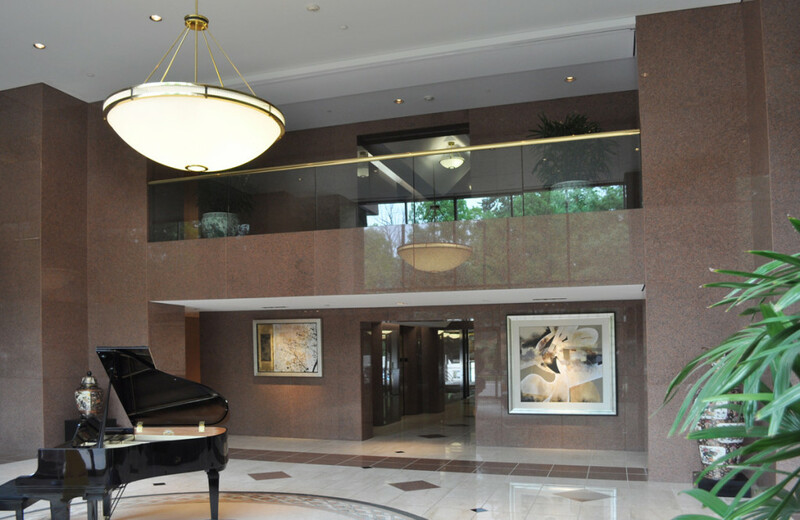 The Summit, built in 1989, looked timeless and grand from the exterior, but the interior public spaces needed a facelift to stay competitive in the leasing market. 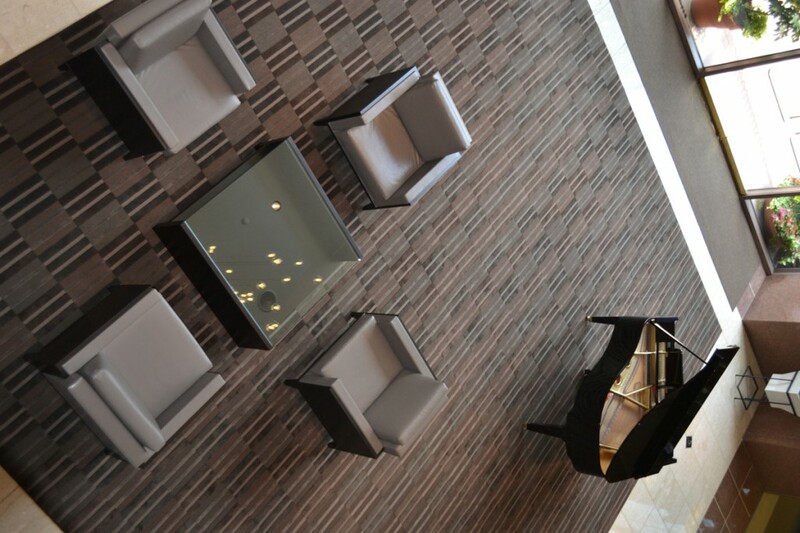 The existing lobby was clad in granite from floor to ceiling and felt very formal and cold. 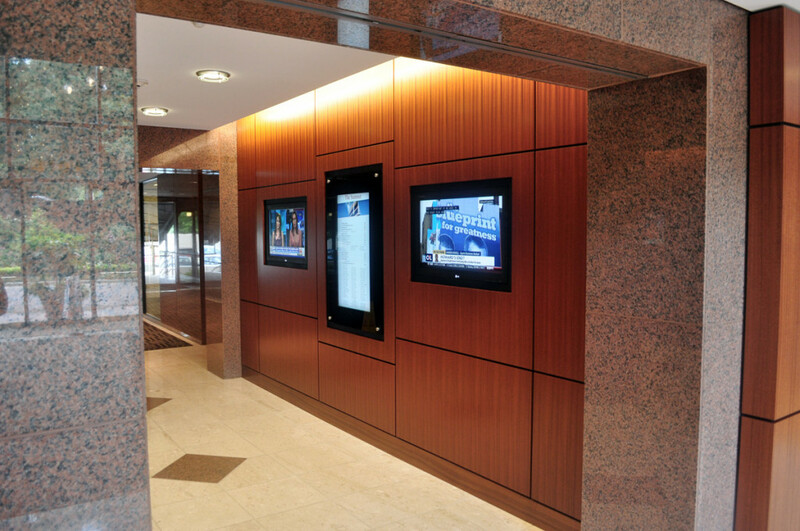 In an effort to warm and modernize the space, the elevator lobby core was clad in a uniquely beautiful sapele mahogany wood paneling with careful consideration to not damage the granite behind it. New modern ceilings, light fixtures, and a recessed building directory & televisions were added. 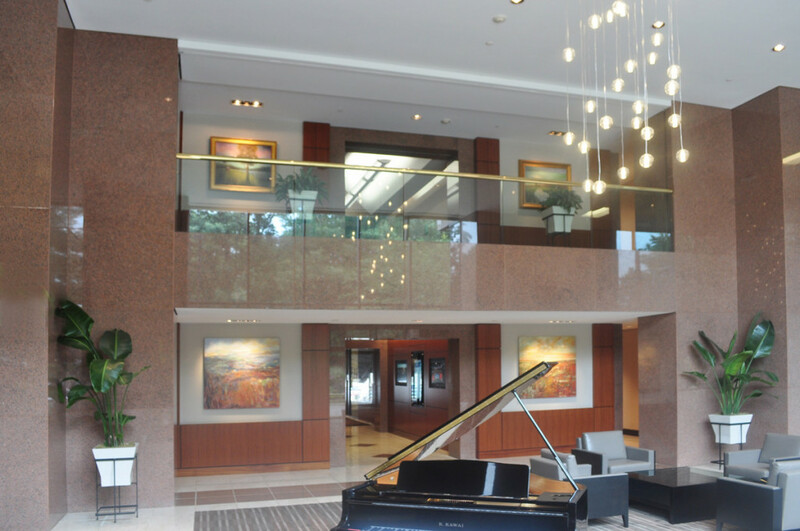 In the main lobby, a large custom rug and light fixture were designed to complement the existing granite flooring and new furniture and artwork were placed to finish off the modern look. The first and second floor common restrooms were gutted and remodeled to meet current code as well as provide a modern aesthetic.